Book in advance any car hire or transfer service, as well as your accommodation (at least 2 weeks before travelling). In the last week try walking 30 minutes every day, sleep extra hours and avoid smoking and drinking coffee or alcohol often. 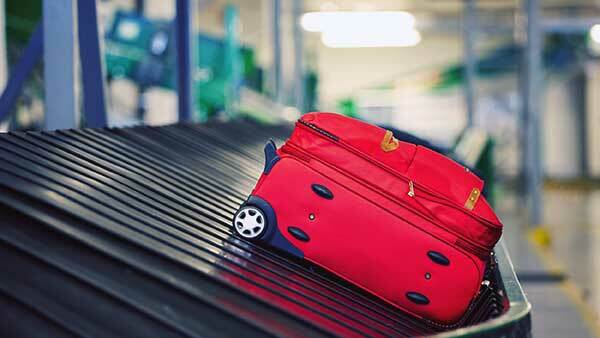 Set aside free time for the 24 hours prior to your flight (your luggage should be ready before this time). If possible, take a relaxing bath a few hours before the flight. It’s very important to be rested. Eat little on the plane and have only one alcoholic drink, if any, since excess prolongs jet-lag. 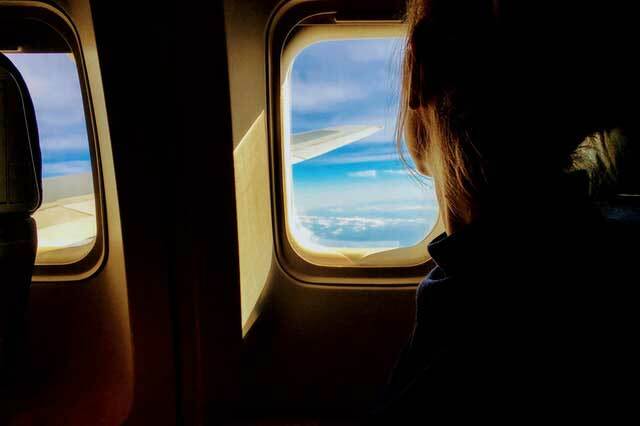 Drink a glass of water for each hour in the air to compensate for the dry air in the cabin, and to dilute the adrenaline circulating in your blood. Take an aspirin every 12 hours. If you have a history of gastritis, take an enteric-coated aspirin to protect against acidic reaction. This helps prevent the famous Tourist-Class Syndrome: circulation problems (thrombosis) in the legs. Move your legs around and stretch during the flight, since veins can clot easier due to lack of space and cabin pressure. Remove contact lenses or use eye drops. Don’t wear makeup – flight attendants normally use specialty makeup intended for arid climates. Listen to ‘quiet’ music from the provided audio channels. Classic music and New Age tend to balance out the brain’s electrical activity. If you have a favourite set of comfortable headphones or earbuds, bring those along. Noise-cancelling headphones can make a flight much more enjoyable. Bring along the best distractions possible such as joke books, magazines with pictures, crossword puzzles, hand crafts, etc. Wear comfortable, cotton clothing and flat shoes (no heels) with laces and rubber soles, or even slippers. Use the bathroom before boarding the plane, since it may take more than half an hour before they allow unbuckling seat belts. Keep a small, soft bag under your seat with just the necessities: a small flashlight for when they turn out the lights, earplugs for shutting out noises, paper for writing with, a water bottle, mask for covering your eyes, inflatable neck pillow, etc. A good idea nowadays is to bring an empty water bottle through security and fill at a water fountain, or else just ask for some once in-flight. In case of turbulence, situate a pillow, blanket or folded item of clothing over your abdomen and cinch the seatbelt down as if it were a girdle, so as to diminish the unpleasant sensation that comes with gravitational movements. Remember that TURBULENCE IS ONLY A DISCOMFORT. IT PRESENTS NO DANGER EITHER TO YOU OR THE PLANE. The emergency exit row is the most comfortable, as it gives you more legroom. This row doesn’t have a place to put anything under your seat though, so bring minimal hand baggage on-board. It’s advisable to sit from the wing forward, where the plane motion and noises are a bit less. If you become anxious call a flight attendant, let them know your situation and that you may need to call on them for help or information. If any noise or manoeuvre surprises you, ask someone from the flight crew. Controlled breathing: count your breaths, try slowing down the rhythm, and make pauses between inhaling and exhaling. It’s important for the exhalation time to be greater than the inhalation. Breathing should be abdominal and upper-rib. Relaxation exercises: observe where the muscles are accumulating pressure and try untensing them while exhaling. In this way you can voluntarily increase the muscle contraction to be as relaxed as possible later. Visualization: mentally picture scenes from the most beautiful place you can remember. Imagine a safe haven and picture yourself there. It’s advisable to use maximum strength benzodiazepines, especially clonazepam and alprazolam. In severe cases, psychiatrists recommend using selective serotonin reuptake inhibitor (SSRIs), especially sertraline, citalopram, paroxetine and fluoxetine. Venlafaxine has also proven successful. Almost all on board first aid kits have anxiolytics (generally Valium) and there’s always a doctor among the passengers. Take in mind the following tips to avoid the most frequent mistakes. Do some preliminary research about international prices in order to evaluate the things you can purchase. Make a list of what you most want to acquire on the trip, especially those things about which you already know the characteristics, and note their prices. Make a list of gifts. Know beforehand who you want to give gifts to after the trip, and how much you’ll spend on each one. Bring along plastic bags in your shopping cart. In many places, businesses expect clients to supply their own or buy them for a small charge. Also bring an extra suitcase just for taking back all those presents. Keep a record of all your purchases to simplify completing the customs forms. For this same reason, grab a pocket calculator before leaving home. If you pay by credit card understand that the final charge can vary, since the exchange rate will apply at the moment your financing institution is charged, not at the time of purchase. Sometimes you’ll come out on top of the deal, but not always. Any small articles purchased during your trip such as jewellery, souvenirs, decorations, etc., should be sent via secure mail to your home address, or brought on board in your hand luggage. This way, you’ll avoid losing them amongst the luggage or having them stolen on the way. Also, if you know you will be buying one of these articles, find out beforehand which mail or transport services are the most secure. Planning reduces the possibilities of being a victim of crime. Carefully select tourist guides. Make a list of the things you want to see or do ahead of time. Check the timetables of museums, shopping centres, businesses or fairs. Request a list of addresses from your travel agency of hotels near the attractions you want to visit. Give yourself plenty of time to explore and discover the attractions. Don’t feel you have to visit everything to make the most of your money. Find out if it’s advisable to avoid certain areas of the city. Walk on main streets which are well-lit and well-travelled. Avoid going into dangerous areas. Don’t use small passageways or narrow alleys if at all possible. Try not to travel alone at night. Let someone know when you plan to return, especially if you go out at night. 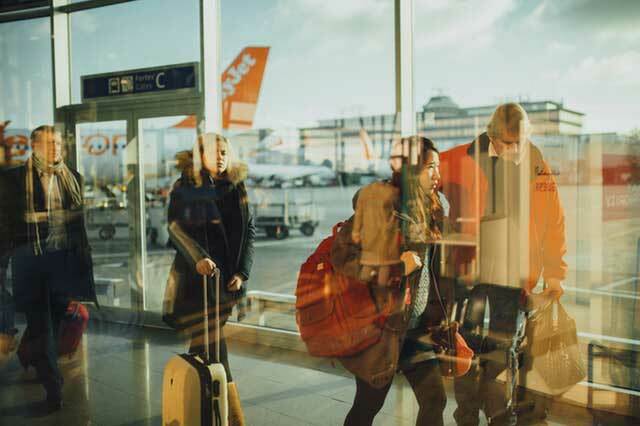 Steer clear of calling attention to yourself: dress and act conservatively, avoiding provocative attire, displaying jewellery, carrying luggage, parking rental cars in busy areas, or acting in a manner that obviously identifies you as a tourist or foreigner. Be courteous but reserved. Try not to converse or argue in loud tones. Looking lost can also make you an easy target for delinquents. If you get lost don’t ask just any stranger, but rather inside a business that faces the street. Don’t give out your room number to people you don’t know well. Greet visitors in the hallway. Bring along with you only the most necessary cash, in bills of low denomination. Familiarize yourself with the country’s customs. In some cities or countries, the mid-day break (in Spain, called the siesta) is part of the habitual tradition, which makes it complicated to find a business open around mid-day. However, don’t dodge meals, since you’ll need a lot of energy for the tourist routes. A good idea is to buy bread, cheese, ham, fruits and veggies in the mornings to leave them in the hotel fridge and enjoy a picnic meal later, instead of always spending on a restaurant. Spain is a country in which tips aren’t always obligatory, although it’s considered impolite not to leave them. If someone performs a service for you which you agree with, offer them a small ‘reward’, even if it’s not customary. Otherwise, if someone doesn’t offer you satisfactory service, don’t give them a tip, even if it’s customary there. Before sitting down at the table in a restaurant, ask if there is an obligatory gratuity or charge per place setting besides the prices listed in the menu. If it’s obligatory, know that it can never exceed 15 or 20% of the total, and if it’s not, use those same percentages to calculate the tip you’ll leave. Tips for bellboys carrying luggage, tour guides and bus drivers, etc., are only given on occasion. Look for information on this in your travel agency or the brochures handed out in hotels. It’s common to offer a tip to a tour guide at the end of the trip. The amount depends on their performance, but it’s normally no more than 3.00€ per day. Right after your arrival in the country, try obtaining all change possible in local currency to be able to easily offer tips. Carefully guard your pockets, bags and money belts, since they’re particularly susceptible to theft. Carry your belongings in the most secure manner. Women should carry purses under their arm with the handle crossed over the neck as much as possible. Men should keep wallets in their front pants pocket, or money inside their socks. Be especially cautious when in the midst of a lot of people, such as in the metro, market, festivals or a fair. Finally, remember to learn some basic words and phrases in the language of the countries you will be visiting. A little bit of effort on your part will go a long way with the locals.